The knee is the largest and most complex joint in our body, which is used extensively for many regular day to day activities. Chronic knee pain is one of the common problems that can occur in the later ages. It is a long-term condition, which is sometimes associated with swelling and sensitivity. Any weight-bearing activity can become extremely painful. Buying grocery, carrying small weight or climbing stairs, which are everyday activities, can become unbearable. Walking for a short distance may also become difficult. One may have pain in one or both knees. The chronic knee pain is different from the temporary pain. It can occur due to many underlying issues or diseases, and does not go without proper treatment. Here is the list of 10 most common causes of chronic knee pain. 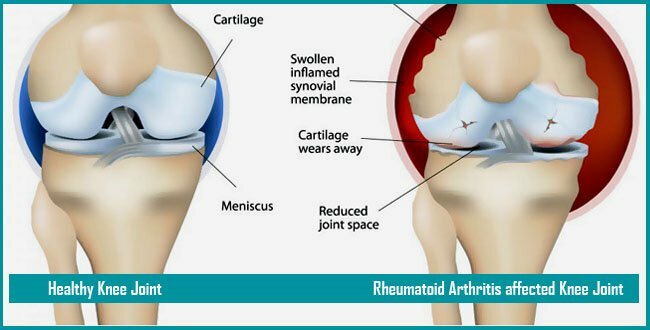 Rheumatoid arthritis occurs when the immune system attacks the synovium which is a lining of the membranes surrounding the joints. The resulting inflammation causes synovium to thicken, which can eventually destroy the cartilage and bone within the joint. It can affect multiple joints in the body including both upper and lower limbs. Early RA tends to affect smaller joints first — particularly the joints of fingers, hands, toes and your feet. As the disease advances, symptoms often extend to the wrists, elbows, shoulder, knee and hips. Rheumatoid arthritis can occur at any age but is mostly seen after 40 plus years of age. RA can gradually destroy the knee joint leading to pain, stiffness, deformity and disability. Pain is increased or aggravated by weight bearing activities. 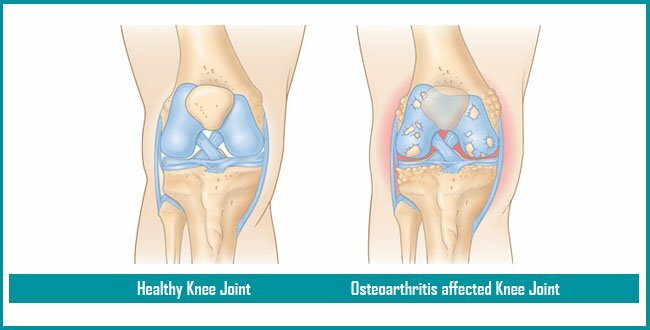 OA (Osteoarthritis) is the most common form of arthritis, which affects millions of people worldwide. It occurs when the protective joint cartilage at the ends of bones wears away over time. Although OA can damage any joint in your body, the disorder most commonly affects the joints of the hands, knees, hips and spine. In knee joint with osteoarthritis, the cartilage protecting the ends of the bones gradually wears away. Joint fluid loses its shock-absorbing qualities and bones may begin to rub against each other in the final stages – all of which may cause severe knee pain. OA symptoms can be managed effectively, although the underlying process cannot be reversed. Staying active, maintaining a healthy weight and other treatments can slow the progression of the disease and help improve pain and joint function. 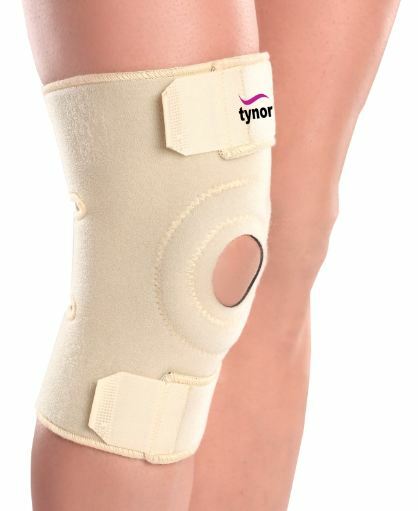 A bursa is a thin sac filled with synovial fluid (natural lubricating fluid). This slippery sack allows different tissues such as tendon, and muscles to slide over the bony surfaces without catching. 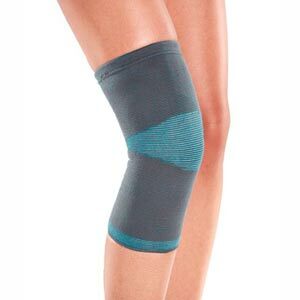 Knee bursa helps in reducing the friction between structures. 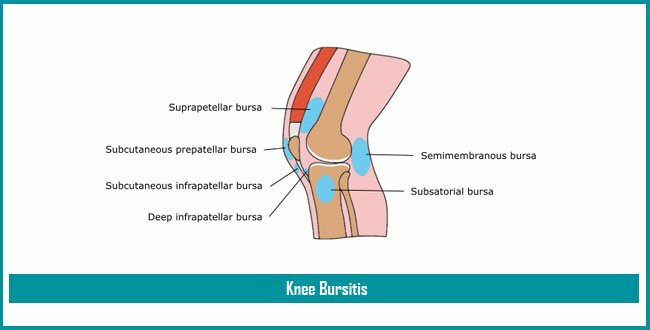 Knee Bursitis can cause pain above or below your kneecap (patella). The knee joint consists of up to 11 bursae. There is a myriad of factors that can contribute to knee bursitis. The most common ones include direct blow or trauma to the knee, frequent falls on the knee, repeated or prolonged pressure on the knee (e.g. from activities that entail extended periods of kneeling) and knee arthritis. Thus bursitis can also be associated with conditions such as rheumatoid arthritis, gout and osteoarthritis. A dislocated patella or knee cap is a common injury that usually takes about 6 weeks to heal. It is commonly dislocated due to blow or a sudden change in direction when the leg is planted on the ground during sports. The knee cap (patella) normally sits on the front of the knee. It slides along a groove in the joint when the leg is bent or stretched. The symptoms of dislocated knee cap include severe knee pain, sudden swelling of the knee, inability to straighten the knee, and being unable to walk. An average person may not know if the pain is due to knee cap dislocation or due to any other condition. 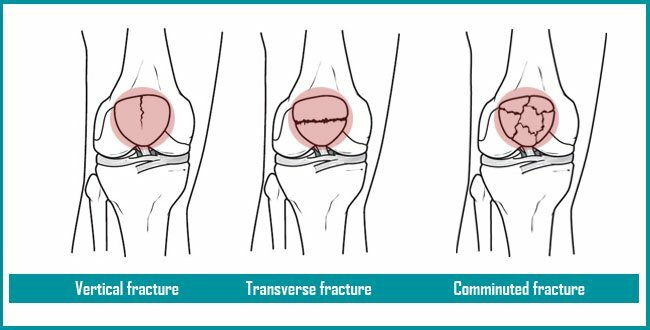 Therefore, even though dislocated knee cap is not a serious condition as the knee cap usually pops back into place by itself, it is still advisable to consult an orthopedic expert. There are 2 menisci present in our knee joint one on the inside (medial) and another on the outside (lateral) of the knee. The meniscus is a shock-absorbing cartilage in your knee. It works as a doorjamb and stabilizes the joint. Our meniscus functions as a cushion to minimize pressure on other cartilage in the knee joint that we call the articular cartilage. The articular cartilage covers the lower ends of bones in a joint. By protecting articular cartilage, meniscus prevents the onset of arthritis. 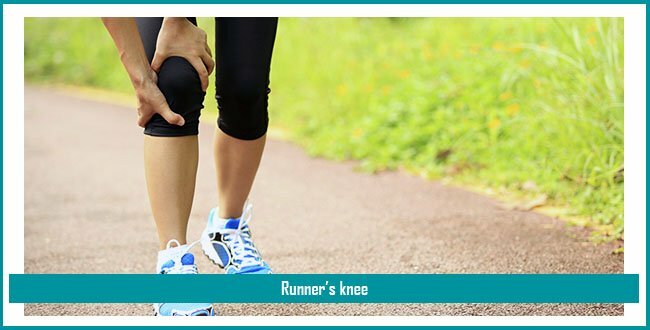 If the meniscus is injured, the stress on the knees is increased, and the joint become unstable. 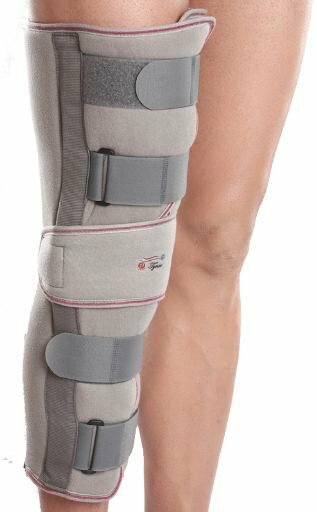 The meniscus has some of the essential functions in the knee such as increasing stability, limiting extreme flexion and extension, shock absorption and distributing load throughout the joint. This occurs due to inflammation of the tendon. The tendon is the tissue that attaches muscle to bone. 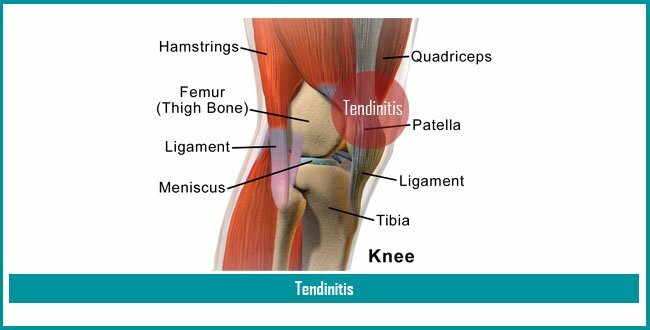 In tendinitis, the patient develops severe pain in front of the knee joint, which worsens climbing, taking stairs, or other activities. An ACL (anterior cruciate ligament) injury is the over-stretching or tearing of the ACL in the knee joint. A tear may be complete or partial. Symptoms of anterior cruciate ligament injury usually include severe pain and inability to continue the activity, swelling, loss of range of motion, a feeling of instability or “giving way” with weight bearing. 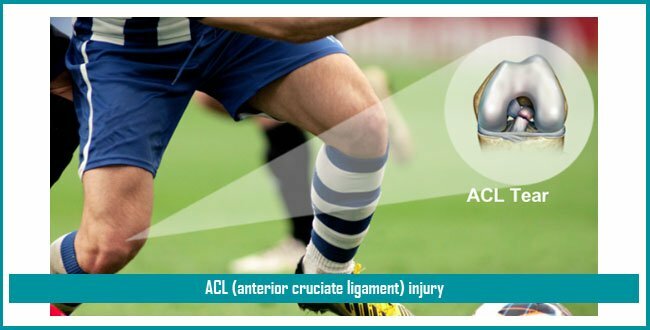 An ACL injury can occur when you get hit very hard on the side of your knee, such as during a football tackle sudden stop or moving and change direction while running, landing from a jump, or turning and overextend your knee joint. Runner’s knee is a common orthopedic ailment among runners. It can also strike any athlete who does activities that require a lot of knee bending (flexion) – like walking, jumping and biking. It usually causes chronic pain around the knee cap. Runner’s knee can results from direct trauma to the knee, like a fall or blow, overuse repeated bending, or high-stress exercises and weakness in thigh muscles also cause extra load on the knee. The bones of the knee, including the patella (knee cap), can be broken during sports or vehicle accidents or falls. Because your knee cap (patella) acts as a shield for your knee joint, it can easily be broken when falling directly onto your knee. These fractures are serious orthopedic injuries and often require surgery to heal. Over the long term, they may also cause arthritis in the knee. A person whose bones have been weakened by osteoporosis can sometimes sustain a knee fracture simply by stepping wrong. 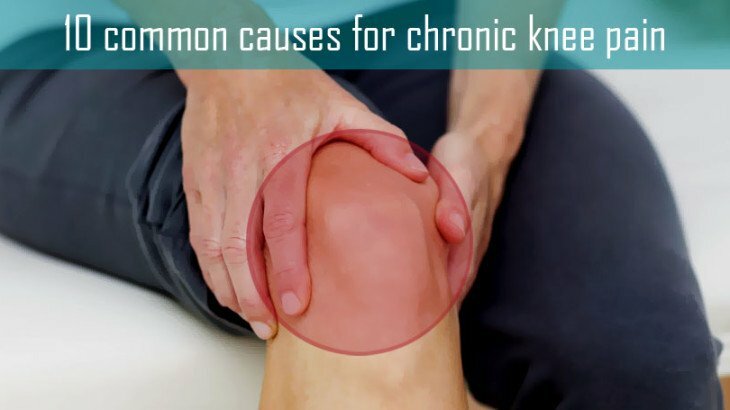 It is a common problem and often occurs in the knee. It is also considered as the second popular bone cancer, which is also known as osteosarcoma. 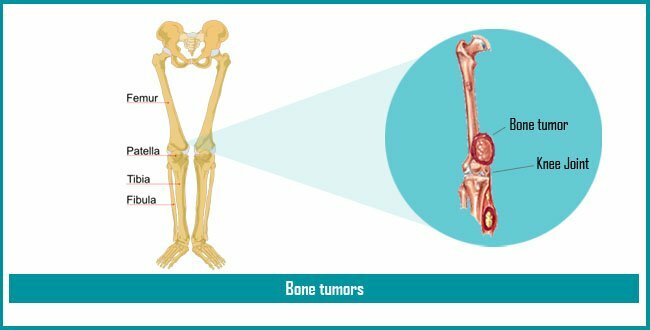 Symptoms of bone tumors can vary depending on the size and location. Tumors arising in or around the joints often cause pain, tenderness, and swelling. Bone tumors can also weaken the bones thus causing fractures. The pain is constant in nature. It is dull and burning in types and causes discomfort. The patient feels a sharp, shooting sensation during mobility. You may have to swell with pain if you touch it. Give adequate rest to the knee, and avoid working for a few days. Ice on your knee for 15 min for every 2-3 hours; continue for a few days. It works very well in reducing pain and inflammation. 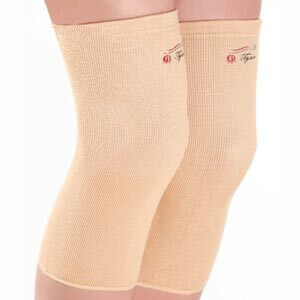 To prevent swelling, you can compress the knee by use of a strap or elastic bandage. Always use a pillow under your heel when you sit or lie down. It is given the relief from pain. Take an anti-inflammatory (NSAID’s) drug to reduce pain and swelling. This can cause some side effects. Consult your doctor before taking any medicines. Do some regular exercises and stretching, which help maintain the strength of knee joint. ACL Surgery, ACL Tear, Knee Arthroscopy, Knee Replacement, Meniscus Surgery, Meniscus Tear, Osteoarthritis, Rheumatoid Arthritis anterior cruciate ligament, arthritis, arthroscopic knee surgery, bone tumors, chronic knee pain, knee bursitis, knee joint, knee pain, knee replacement, knee surgery, meniscus tear, osteoarthritis, rheumatoid arthritis, Runner’s knee, Symptoms of chronic knee pain. permalink. How physiotherapy can help after surgery? Nice Blog on “10 common causes for chronic knee pain” Very informative blog, who are hunting for chronic knee pain. Thanks for this post. Thanks for providing this useful article ! Very informative article! Best to familiarize yourself with the causes but never self medicate. Always consult with a speciallist when dealing with pain in order to further assess your condition. Thanks for sharing though. Chronic knee pain has largely affecting people between 45-70 of age. It is not necessary that knee pain only starts because of inadequate meals contain calcium. Improper exercise can also be a good reason for it. A great amount of people do physical exercises to say bye to pains. But doing enough workouts and lifting weight might be the reason of increasing knee pain. Do involve a physiotherapist in your workout session to advice you the best. Great blog, confidently this blog will help people suffering from knee pain knowing more to cure their knee pain. Thanks a lot for providing information in a very comprehensive manner.